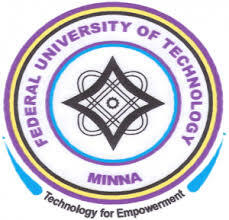 FUTMINNA Post UTME / Direct Entry Screening Form 2019/2020 | The Federal University of Technology, Minna (FUTMINNA) post UTME/Direct Entry admission screening application form for the 2019/2020 academic session. How to apply, guidelines, cut off mark and registration deadline. 1.1 Candidates Eligible for FUTMINNA Post UTME & DE Screening. 2 How to FUTMINNA Post UTME/Direct Entry Screening. A printout of the 2019 UTME or DE result slip bearing the candidate’s passport photograph (the Passport should not be affixed). The title of the course/programme of choice should be boldly written by the candidate on top of the result slip. The printed 2019 University Pre-Admission Screening Exercise (UPASE) scheduling slip.